The fundraisers of SWC have evolved considerably over the years but no change was more momentous than the decision to bring an end to the long-standing tradition of a community spaghetti dinner. Back in 1999, Robin Snyder was the Spaghetti Dinner Chairperson and it was becoming evident to all that Southlake was growing faster than they could boil the pasta. With a background as an artist herself, Robin wanted to create an event the entire community could be proud of and one that would continue to grow along with the city while it maintained a feeling of togetherness long relished by those who attended the clubs spaghetti dinners. The concept of Art in the Square (AITS) was born and the rest is history. In a past issue, Robin recalled that first year at Art in the Square, saying “It was a delightful little arts festival and the first event of its kind since the grand opening of Town Square. Families were out enjoying the day and the event was very laid-back and relaxed.” Today Robin looks upon AITS as her baby saying, “It has been fun to watch it grow from infancy through the toddler stage and a bit nerve wracking when it hit what I saw as the teenage growing pains stage. Over the last three to four years the festival has matured into what I see as its adulthood.” After the 2011 Art in the Square festival folded up its booths for another year, the funds that Southlake Women's Club has given back to our communities topped $1.4 million. With a first year list of artists numbering 44 and attendance of approximately 40,000 who would have foreseen how the festival would morph into the enormous success it is today? Southlake Women's Club members never had any doubt. Sherri Whitt, SWC member and current Chairperson of the Foundation was President during the club's inaugural arts festival and recalls, “I remember being at the very first VIP party held in a tent in front of the town square gazebo, it was so hot that night. We were preparing to greet guests and I said to those around me, ‘It's unbelievable what we've accomplished so far, and it's only going to get bigger and better.' Today she notes that artists return year after year because of the friendliness and hospitality. As the festival grew from 44 artists and 40,000 attendees to last year's numbers of more than 150 artists and approximately 80,000 in attendance, SWC saw a need to form a steering committee to ensure consistent guidelines for all facets of the three-day event. Every individual committee attends its own meetings with City council, Inland, or Cooper and Stebbins to allow for multiple responsibilities to be taken care of simultaneously. With everyone bringing reports to the central steering committee any facet of the festival can be examined individually and one group can maintain all the pertinent information. Kathy said, “Our focus has always been on making sure the festival is the best it can be. We're receiving attention nationwide. Over 700 artists applied for 2011 and we picked 150.” This three-day juried art festival attracts artists from across the country as well as several international artists using varied mediums of expression. Founder Robin Snyder explained the jury process to us, saying, “Each juror is selected for their particular expertise in an area of art. We try to keep the jury well balanced. The artists submit three photos of art and one shot of their booth setup.” Narrowing the hundreds of applicants down to the talented people you see during the festival is no easy task but these women are more than up to the challenge. In 2011, the City of Southlake commissioned a survey to poll patrons attending the annual AITS event with a questionnaire designed by National Service Research (NSR) with input from the City of Southlake and Southlake Town Square management. According to the findings of the survey, 86% of the people who attend AITS come from outside the city limits of Southlake and more than half of the patrons planned to shop and/or dine in the restaurants while in Southlake. Art in the Square has the distinction of being one of very few art shows where there is no entrance fee making heading to Town Square for the event a perfect family outing. The City of Southlake survey found that almost half (46%) of the people attending were aware that the proceeds from the event benefit area charities. However, many attendees may not know that AITS is one of the highest caliber events of its kind run completely by a volunteer, not-for-profit organization with the mission of raising money for charity. A professional paid staff runs the majority of festivals similar to AITS on a for-profit basis. When you attend Art in the Square you can enjoy knowing you are helping a grass-roots organization raise funds that will be poured right back into our communities. As Mayor Terrell observed, “ Art in the Square is not just another art festival; it is a nationally ranked, top juried art show that is held in Southlake, Texas. It is the epitome of focus on quality and a great example of our citizen groups' incredible involvement in the success of our City. It is a partnership that not only adds to national recognition and local quality of life, but also, has raised more than $1.4 million to help fund charitable organizations in NE Tarrant County. Southlake, and specifically Town Square, is the perfect environment to host an event such as Art in the Square. The "hometown" atmosphere, sidewalks and the park space provide a great canvass for artists to display their works and for people to come out, look and even purchase artwork for their homes. 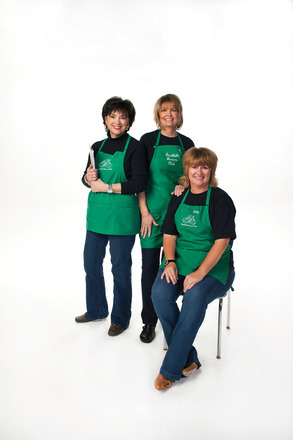 An article on Southlake Women's Club would not be complete without mentioning the longest running fundraiser, in place since 1995, the school supply sale. Every year SWC aids CISD parents and teachers by providing pre-packaged CISD-approved school supplies. Each August the sale is held in person at Carroll High School, and online, allowing parents to easily take care of their student's supply needs with a custom-packed, shrink-wrapped package tailored to each class level ensuring students have the exact supplies they need. Since the inception of the program, more than $300,000 has been raised which is distributed directly back to the participating schools to provide funds to purchase materials necessary for curriculum enrichment. SWC even provides scholarships for students with a financial need. The school supply sale is just one more way SWC gives back to our community. All of us at Southlake Style whole-heartedly agree with Mayor Terrell. Since the inception of our award in 2009 we have been honored to recognize individuals like inaugural winner, Brian Stebbins, and last year's winner, Judge Brad Bradley who have made long-standing and significant contributions to our community. Continuing our tradition, we are proud to acknowledge Southlake Women's Club with our third annual Community Impact Award for their unsurpassed dedication to service and devotion to charitable giving in our community.